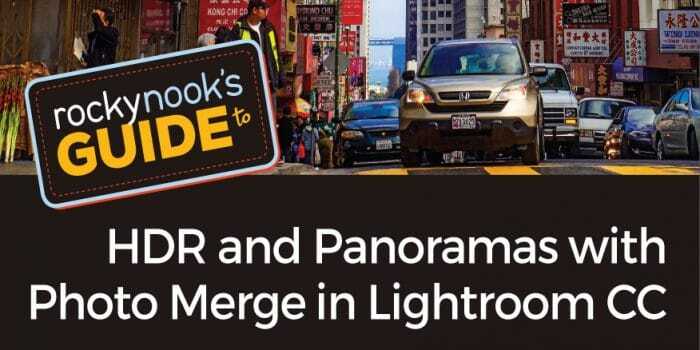 Our friends at Rocky Nook publishing are giving away an eBook that is titled ‘Rocky Nook’s Guide to HDR Panoramas and Photo Merge in Lightroom CC’ and it can be downloaded directly from our website. Even though we understand that HDR Panoramas and Photo Merge are not tools that Street Photographers use, we also understand that some of you dear Readers also practice other types of Photography as well besides Street Photography, so this book by our friends at Rocky Nook might be interesting for you. We don’t usually post things that aren’t directly related with Street Photography, but hey, you can’t deny that a free photography related eBook isn’t cool! So, go ahead and download the free ebook and enjoy the read. Yes indeed f.d. walker! Give it a go.